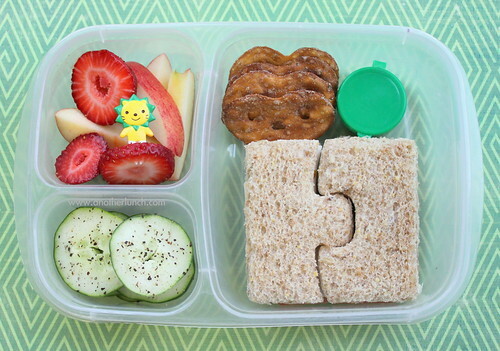 another lunch: Last Two Puzzle Lunches for Autism Awareness Month! 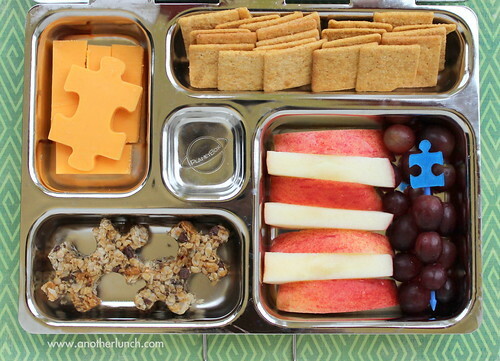 Last Two Puzzle Lunches for Autism Awareness Month! It is the end of April, and the end of the month-long Autism Awareness themed lunches. And that, my friends, is the end of the puzzle lunches for awhile. Phew! "Person with autism" or "autistic?" Language shapes how we perceive the world and how others perceive us. In disability circles, "person first" (person with autism) language is usually encouraged, however many autistic self-advocates prefer the term "autistic." They say that autism is such an integral part of what makes them who they are, that that saying "person with autism" would be the equivalent of calling a woman "a person with womanhood." In fact, Temple Grandin once famously said that autism was such an inseparable component of her identity that even if she could "cure" herself, she would choose not to.